Okay guys and gals, our paper folding project today can totally be classified as origami and can be kind of confusing. 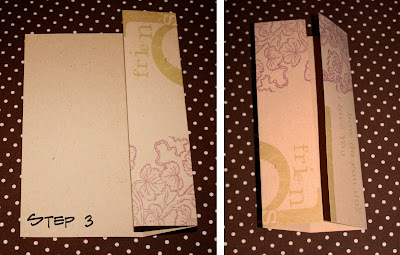 That being said, once you get the fold down, the possibilities are endless. 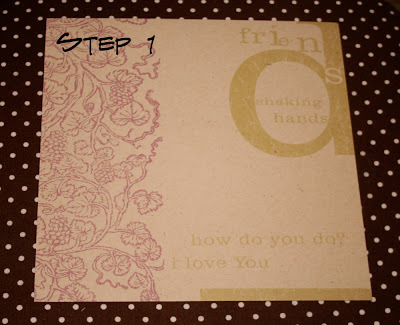 Start with a square pieces of paper. 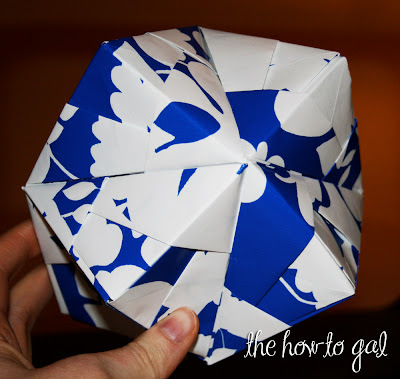 Fold each side to the center. 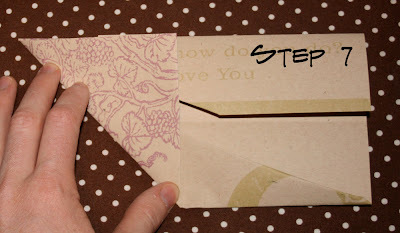 Fold the top right corner down to the creased line into a triangle. 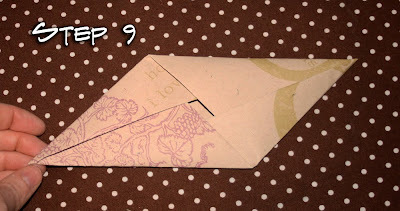 Fold the left bottom corner down the same. It is important that the folds are opposite corners. 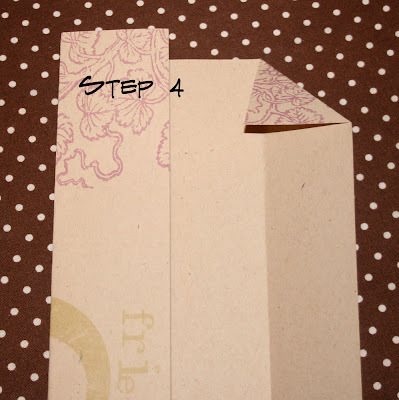 Fold the corners down to the creased line again into a longer triangle. 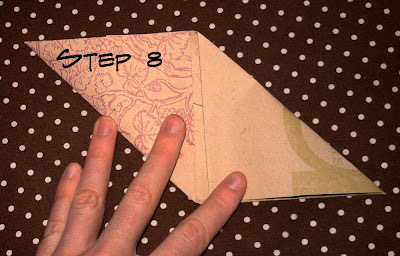 This new fold will over lap the tiny triangle you made in step 4. 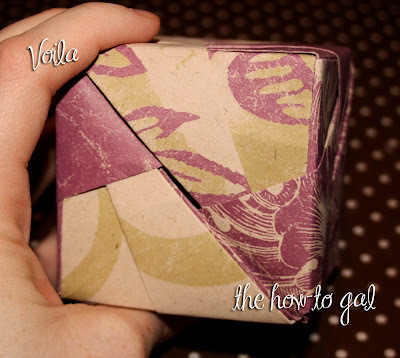 Fold each side to the center again. It will look like there is a chunk taken out of each side. Don't worry, that is what it's supposed to look like! 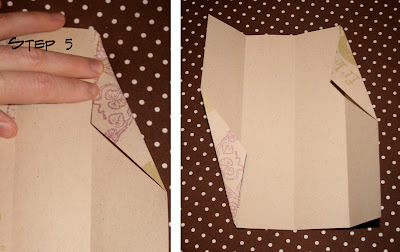 Fold the bottom left corner up to the top of the paper. 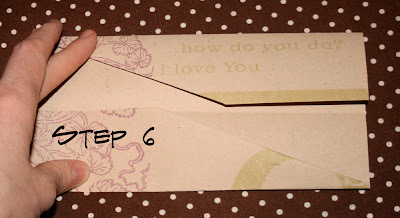 Fold the top right corner down to the bottom of the paper. 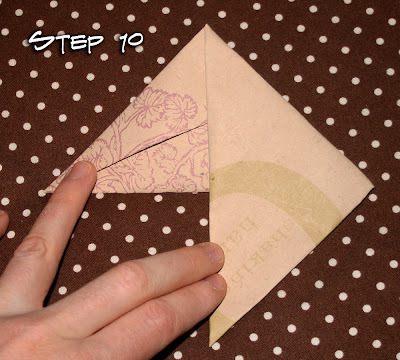 Tuck triangle flaps into the fold underneath. Fold the right hand side down the piece's natural center. Fold the pointed end of the right hand side up to the top of the piece. 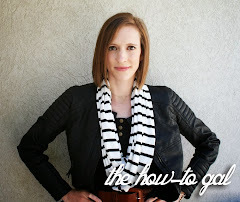 Turn over and do the same to the left side. Make 5 more pieces if you want to create a square. Make 11 more pieces if you want to make a spiky ball. Start connecting your pieces. You will see that the pieces slide into what look like pockets on the top. Three pieces connect together as shown in the picture to form a corner. Connect 6 pieces together to form a square. 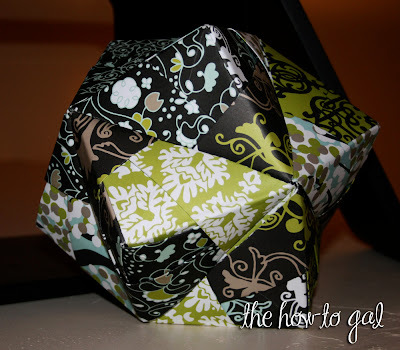 If you create the pinwheels, I would suggest gluing or taping the pieces together, because in this position they don't hold their shape on their own like they do when in ball form. Wasn't that fun?!? If you got lost, please let me know and I will try to clarify the steps. 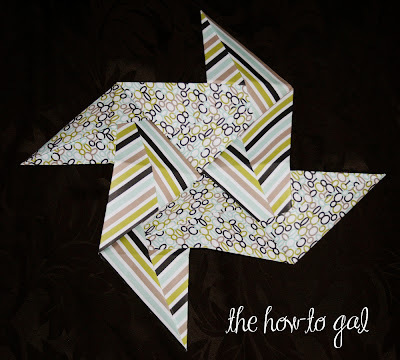 Thanks for stopping by for Day 4 of the How-To Gal's Paper Folding Party. 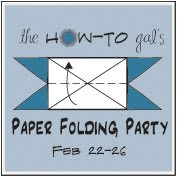 Join me tomorrow to share your own paper folding projects! I will have a Link Party setup that will be open until Monday, March 1st! I really like all these paper folding crafts! So fun! 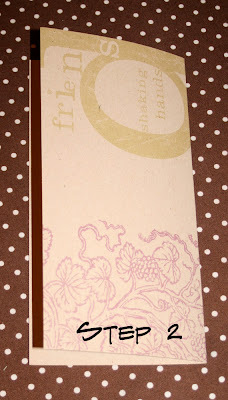 Your blog is so great! Thanks for sharing!